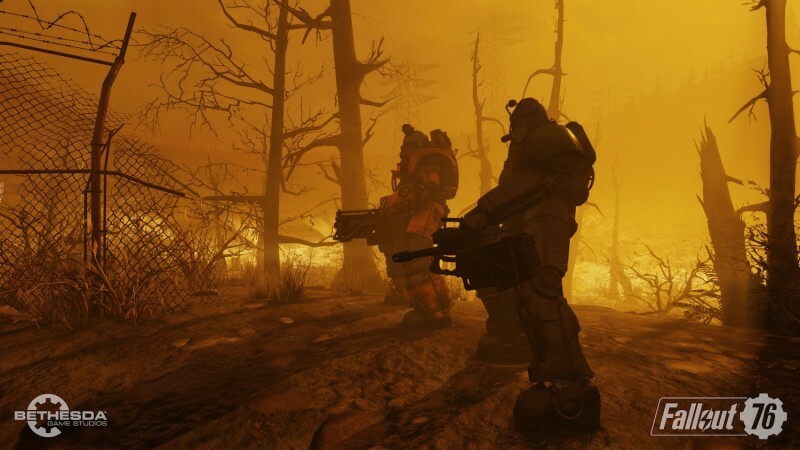 A group of Fallout 76 players launched the first nuke of the game right at a fissure site. They triggered an event called Scorched Earth, which tasks the players to kill a level 95 scorchbeast queen in under thirty minutes. The crazy thing is, they did it, and you can watch the whole battle unfold. Just keep in mind that the video contains a lot of strong language and the audio seems to be a bit off in places. If you want to launch your own nukes in the wasteland, be prepared for a challenge. You first have to discover a silo which will have a unique code to unlock the launch sequence. Finding the codes can be tricky, since they only drop after you defeat certain enemies in the world. After collecting the entire sequence, you can choose where on the map you want to detonate the bomb. If you are interested in seeing a more typical vault-dweller experience, watch us play three hours of the beta here. Fallout 76 is out now on PlayStation 4, Xbox One, and PC.